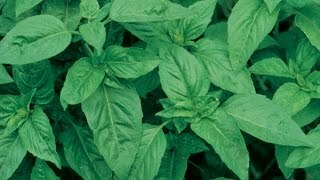 Because of its strong aroma and flavor, Large Leaf basil is a good choice for fresh pesto. Plants are slow to bolt, with large 3" dark, shiny leaves. 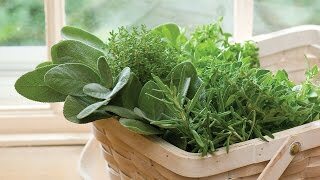 Grow in well-drained soil in full sun. We searched the world to find the best organic seed-Burpee fully guarantees that not a drop of synthetic chemicals was used to make these excellent seeds. Certified Organic Seed. Basil, Large Leaf Organic is rated 3.8 out of 5 by 5. Rated 1 out of 5 by Prof_D from Smallest basil I ever got. Smallest basil I ever got. They died while I was waiting for them to get as large as advertised, had to throw them all out. Rated 5 out of 5 by Paulywog0667 from A Nice Looking Basil Basil is one of my favorite indoor and outdoor plants. This variety like the Genovese Basil often makes me debate moving them outdoors. I haven't tried it yet, but the comparison will be with Genovese Basil and pesto. Rated 4 out of 5 by bobfc from tasty basil Strong grower, great tasting basic. Needs lots of heat and sun to do its best, bu late August it is getting pale. I would use it again. Rated 4 out of 5 by JayhawkGardener from Fantastic once established Once established, this variety was great. Early on, bugs stunted plant growth by consuming lots of leaves. Eventually, the plants overtook the bug damage and there was plenty of basil. Rated 5 out of 5 by BurpeeGuru from Striking Color and Outstanding Performance In trials, we grew Lemon Cream everywhere, in pots, in baskets, in garden beds, and usually we observe a location that is not good. Not Lemon Cream, its performance was outstanding everywhere, and the striking color is a magnet for the eye; it pulls you in.